Even the best speakers in smartphones struggle to produce even a relatively small amount of bass. Dirac, a rapidly-growing name in device audio, wants to change that with its new Dirac Bass feature. This tweak, which boosts the bass synthetically, is to be unveiled at CES 2019. Dirac may be a more familiar name to those who own or use some newer OnePlus, OPPO, Huawei or Xiaomi phones. The Swedish audio firm has been partnering with these OEMs for years now in order to develop the sound that comes out of their phones' speakers. This could be described as necessary, due to the tiny size of smartphone components. Even the best examples have come up against bass-related dissatisfaction in our reviews. 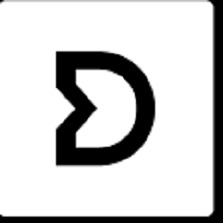 In ad interview with XDA, Dirac announced its latest mobile device sound-boosting feature: Dirac Bass. This tweak is said to improve the bass indirectly through the enhancement of "artificially generated overtones that are several octaves higher”. This, then, apparently creates the illusion of increased bass to the human ear. Dirac intends to unveil this new feature at CES 2019. The company did not specify which phones would be potentially enhanced with it in the future. On the other hand, there was mention of a prerequisite for Dirac Panorama Sound and Dirac Power Sound, which are found on flagships such as the OnePlus 6T.